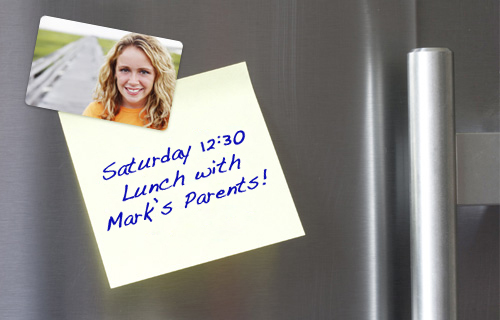 Create with your own photos in a snap your personal magnetic photos. Perfect for sticking notes on the fridge, pinning up bills on a board or just to decorate around the house: our photo magnets make the perfect little gift. There are two different sizes and every single magnet on the sheet is customisable. All prints are processed on premium photographic paper and feature a crisp resolution with our usual perfect color brilliance. Surprise your loved ones or your friends with this unique and useful product.